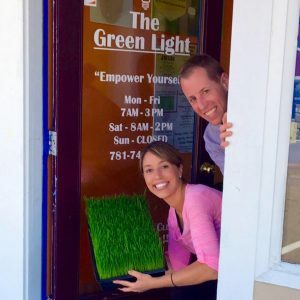 Shawn and Sheree, brother and sister duo, are the grateful owners of The Green Light Hingham. They are passionate about helping others improve their lives. The wonderful people they serve can count on quality, service, consistency, and care when they visit. They put much love into every aspect of their business and aim to deliver outstanding products and unforgettable customer service. They love what they do and look forward to the opportunity to serve you soon!